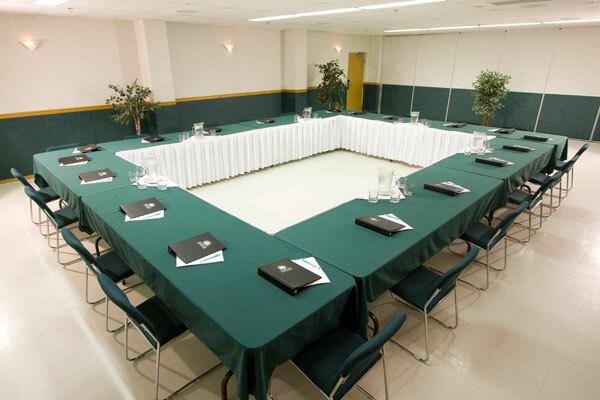 The Woodlands Inn & Suites features 4 spaces for meetings and events that can be set up to suit your needs. Our Spruce Room can sit up to 12 people board room style which is perfect for the smaller meetings. Our Birch Room can sit from 20 to 55 people, our Aspen Room can sit 32 to 145 people, Birch and Aspen Rooms combined into 1 room can accommodate up to 205 people. 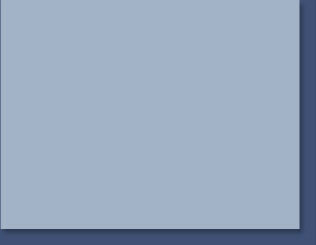 These rooms boast great lighting and superior acoustics. 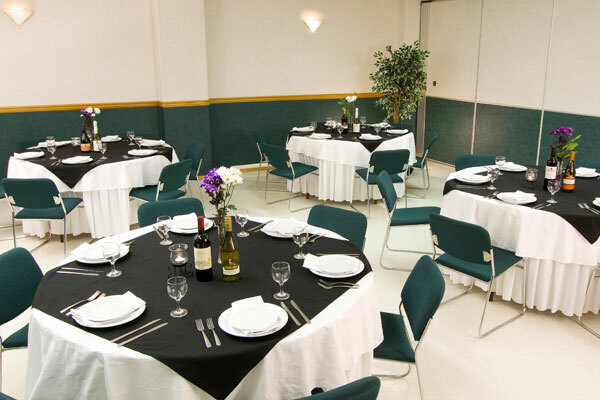 One Restaurant is also available for any meeting, event, or gathering large or small with seating for up to 150 people. We offer all of the services that you will need to make your meeting or event a success including LCD Projector, internet access, Polycoms, overhead projectors and screens, white boards, and a PA and sound system. Our banquet staff is able to set up and arrange the space, equipment, and entertainment for your meetings and special events. Our catering services are available for all occasions and events. Let our catering staff assist you in planning the perfect menu for your meeting or event. From coffee breaks with snacks to appetizers and full meals, you can choose from our catering menus or we can help you create a specially designed menu just for your event. We are also available for outside catering events with the same menu options available.